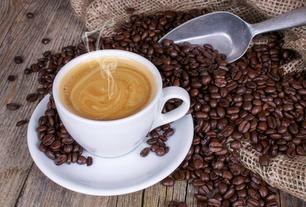 If you love coffee, you’ll have plenty of time to indulge during Italy Tours and Italy Vacation Packages. Not really a coffee drinker? Taking a trip to Italy might change your mind. You simply must sample some authentic Italian coffees before you decide to stick to tea or other beverages. North Americans have sayings about coffee like, “Coffee warms up the mornings of the world” or “Oh look, it’s coffee o’clock.” A popular Italian saying about coffee is, “La vita è quella cosa che inizia dopo aver bevuto il caffè,” which means, “Life is the one thing that starts after drinking coffee.” Especially if you’re on vacation in Italy! You will find coffee bars (that’s right - they’re called bars, not cafes) everywhere in Italy, in every city or town. Italians love their coffee. Italian coffee is unique - it is not at all like what you might be used to from Starbucks or your favourite coffee shop anywhere else in the world. 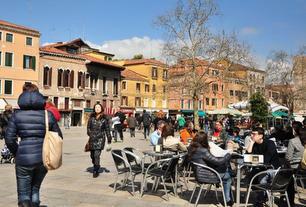 If you want to drink coffee like Italians do during Italy day tours and excursions the best place is at a coffee bar. You can sit in a restaurant and sip your coffee at a table but you’ll typically pay much more for that experience. When you order coffee at a coffee bar expect to receive a small serving. It is meant to be consumed rather quickly while you stand at the coffee bar. Most coffee bars expect patrons to order at the cash register and pay first, then take proof of payment over to the bar to get their coffee. North Americans are used to all sorts of sweet iced coffee drinks, which you won’t find quite the same way in Italy. If you’re looking for dressed up coffees you could order a Caffè shakerato, which is espresso shaken with ice and sugar, or Caffè corretto, which is espresso with a shot of liquor. Some coffee bars have containers of foam whipped with sugar, called cremina, set out for customers looking for a little extra sweetness for their Caffè. No matter which Avventure Bellissime Italy tours or vacations you book there will be ample opportunities to try an authentic cup of Italian coffee. If you really want to immerse yourself in sampling Italian coffee and coffees from around the world you should consider a trip to Milan sometime between May 1 to October 31, 2015 so you can enjoy Expo Milano 2015 (translated into English here). This exciting event will showcase the ways that more than 140 countries and international organizations are using technology to provide healthy, sufficient, and sustainable food. More than 20 million visitors are expected to attend Expo Milano 2015 and enjoy sampling food from around the world. Only a few months until this exciting festival begins! When you visit Milan we highly recommend Avventure Bellissime’s Private Walking Tour of Milan, which will introduce the city’s rich culture, intriguing history, and impressive architectural and artistic treasures. Highlights include touring the spectacular Duomo Cathedral in the heart of the city, with its soaring Gothic vaults; visiting the celebrated Scala Opera House; walking to the medieval Castle Sforzesco, which is now home to art galleries and city museums; shopping at Galleria Vittorio Emanuele, the oldest mall in the world; and seeing Leonardo Da Vinci’s famous painting Last Supper at Santa Maria delle Grazie. Ready for a coffee lovers introduction to Italy? Contact us at Avventure Bellissime for details about our Italy vacation packages and Italy tours.